Will Windows 8 be remembered as poorly as Windows Vista? Windows 8 has had a turbulent launch. Introducing a new operating system with a totally new look and design was always going to be a tricky task for Microsoft, especially considering the success of Windows 7 and the enduring popularity of Windows XP. Now, according to Supersite For Windows' expert Paul Thurrott, the staff at the software giant already regard Windows 8 in the same light as whipping-boy operating system Windows Vista. Even those who are working on Windows 8 are admitting that the fruit of their labours is less than satisfactory. Thurrott also expressed through a follow-up tweet that from the angle of unit market penetration, Microsoft has conceded that Windows 8 is as bad as Windows Vista. According the Thurrott, the new operating system is not even selling as well as Windows Vista did. Although these are damning signs, there are factors that have worked against Windows 8 since its inception. While Vista arrived following Windows XP's long tenure as Microsoft's flagship, Windows 8 has entered a market where both of its predecessors are enjoying incredible popularity. Windows XP is still being used by a third of IT professionals, and despite its end-of-life approaching rapidly, shows no signs of a large drop in market share. For those that are migrating, Windows 7 is the operating system of choice, due to its similarity to previous versions. Windows 8's attempt at accommodating Windows OS to run on tablets and touch enabled computers has, even in the eyes of its creators, failed. Tablets and touch computers may have started to outsell desktops, but Microsoft's big bet that making a more touch-centric version of Windows would revive PC sales has clearly not paid off. All of this could be good news for consumers. With Windows 9 launching next year, perhaps we will see a more streamlined and compatible operating system in the future. 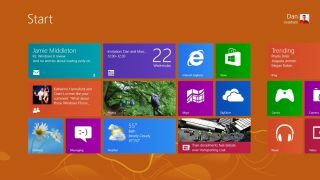 Windows 8: What went wrong?